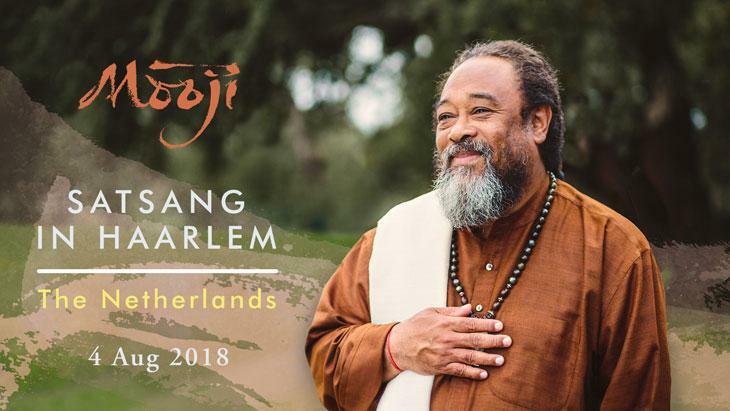 This one day event with Mooji is a powerful opportunity to enter into the energy field of Satsang in the presence of a great spiritual Master. Mooji introduces the direct path to freedom through self-inquiry and the Invitation, which is proving to be one of the most effective aids for true and lasting Self-discovery. In Satsang, Mooji guides, challenges and responds to questioners with wisdom, love, humour and searing honesty. Through Mooji’s presence and direct pointings to Truth, the unfading love, joy and peace that so many are searching for are revealed to be our very nature and Self. Satsang is a compelling invitation to all who are called to discovering this timeless Truth. Welcome! Satsang with Mooji is an opportunity to be immersed in the spirit of Truth. This environment is not for the merely curious, but for those with a sincere and wholehearted commitment to Self-discovery. If you intend to participate in this Satsang event it is essential to first watch this important video: An Invitation to Freedom. These guidelines are in place to facilitate your awakening. To be seated on time. If you arrive after Satsang has begun, you may not be able to enter the space. To have your image and voice recorded and possibly used for the sharing of Satsang on DVD, mp3 and on the Internet. All recorded material will be used to serve satsang only. Images of all individuals will be treated with the utmost sensitivity and respect. Satsang is not a replacement for any therapy or other medical treatment or diagnosis. If you are currently receiving or have previously received any medical treatment or therapy for issues related to mental health, this event may not be suitable for you. Please check with a specialist healthcare practitioner whether attending this event is suitable for you at this time. More information can be found in the FAQs under Physical & Mental Well-Being. 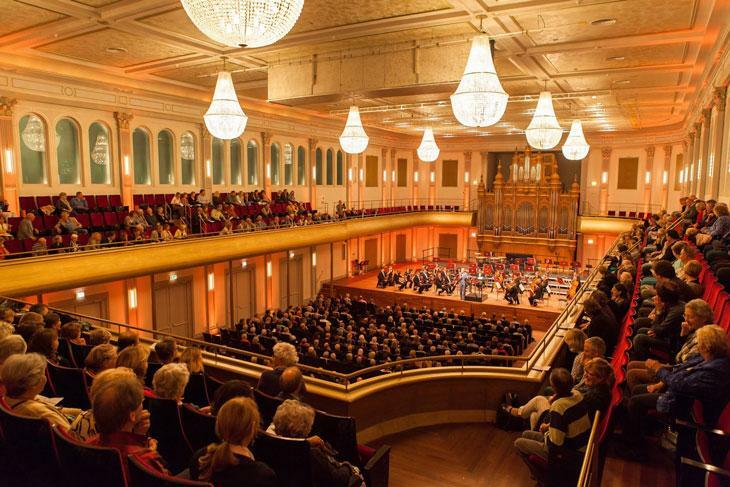 The Philharmonie in Haarlem is a magnificent 19th century concert hall that combines the classical grandeur of high ceilings and chandeliers with a modern touch. The concert hall has a theatre layout that comfortably seats up to 1200 people and is a beautiful setting for Satsang. Two Satsangs are offered on Saturday, 4 August 2018. Doors open one hour before Satsang. It is possible to attend either or both of the Satsang sessions. The cost is €30 per Satsang. Tickets to each Satsang are sold separately, so to attend both Satsangs you must buy two separate tickets (one for the morning Satsang and one for the afternoon).